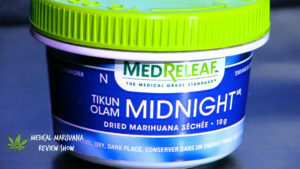 Midnight by Medreleaf is a Sativa-dominant strain at 60% Sativa40% Indica. 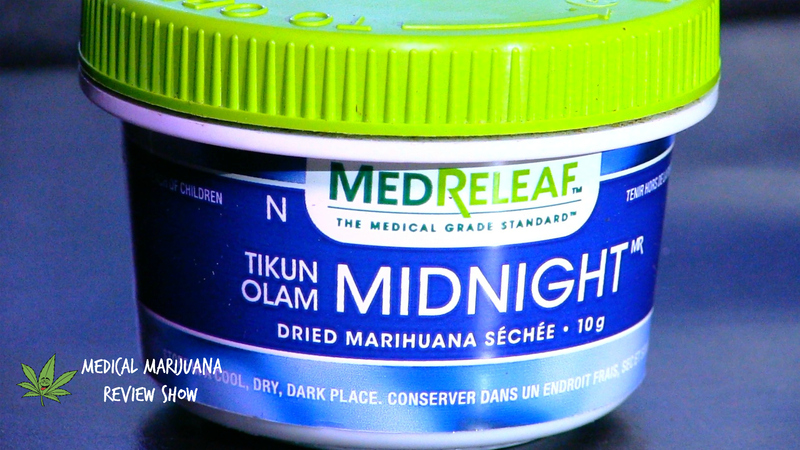 With nearly a 1:1 ratio of CBD and THC, this hybrid was developed by Tikun Olam to treat inflammation, chronic pain, indigestion and nausea along with others. It is known to be perfect for daytime consumption. "Though the name sounds like a lyric, this strain will have you singing anything but the blues. This is a wow super strain. It's also a top-notch good time with both a CBD and THC component topped off with arguably one of the best fruity bouquets. With a crystal content rivalling the very best this strain when vaped is like blueberries and summer in the northern forests as a child. This is a great strain for arthritis sufferers, MS patients and those with pain 40% indica 60% sativa incredible!!!! It's so about the taste. I know it relieves and for some cures migraine pain. This is a beautiful strain by Tikun Olam's custom Genetics. This is a showpiece. Try it and see what I am saying. Watch the review and leave comments, like and most of all subscribe to my youtube channel folks. The good people at Tikum Olam have truly outdone themselves. Leave it to MedReleaf to bring on a flavour revolution in medicating."